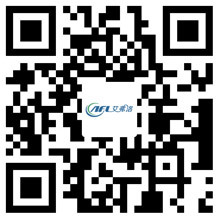 EC Blower Uses Brushless DC Motor - Hangzhou Airflow Electric Appliances Co.,Ltd. EC motor is built-in intelligent control module DC brushless maintenance-free motor, comes with RS485 output interface, 0-10V sensor output interface, 4-20mA speed switch output interface, alarm device output interface and master and slave signal output interface. The product has a high intelligence, high energy efficiency, high efficiency, long life, low vibration, low noise and continuous uninterrupted work and so on. DC brushless motor is a synchronous motor, which means that the motor rotor speed by the motor stator rotation of the magnetic field speed and the number of rotor (p) impact. In the case of a fixed number of rotors, changing the frequency of the stator's rotating magnetic field can change the rotational speed of the rotor. DC brushless motor is the synchronous motor with electronic control (drive), control the frequency of the stator rotating magnetic field and the motor rotor speed back to the control center repeated correction, in order to achieve close to the DC motor characteristics of the way. EC blower using a permanent magnet excitation, eliminating the induction motor excitation current loss; the same time permanent magnet brushless DC motor work in synchronous operation mode, eliminating the induction motor rotor core frequency loss. These two aspects of the permanent magnet brushless DC motor operating efficiency is much higher than the induction motor, small-capacity motor efficiency is more obvious. As the brushless DC motor excitation magnetic field does not require the reactive current of the grid, so its power factor is much higher than the induction motor, brushless DC motor can run on a power factor, which is very favorable for low-power motor. Brushless motors have a higher efficiency and power factor than rated motors, and are more advantageous at light loads.